“I am grateful to the National Eye Institute of the NIH for supporting our research, and look forward to continuing our work on retinal development and regeneration," Morris said. 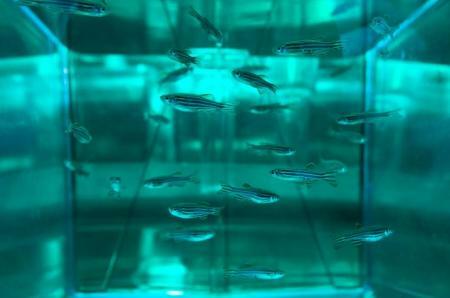 Morris' laboratory studies zebrafish — small, minnow-like fish with eyes that develop similarly to humans. Unlike humans, however, zebrafish have the ability to regenerate retinal cells following an injury. Morris says the mechanisms and processes for this regeneration to occur are the same ones that must take place for cell-based transplantation therapies to be successful in human retinas. "One potential treatment for retinal degenerative diseases is cell-based transplantation therapy, in which precursor cells are transplanted into the diseased eye to replace the lost photoreceptors," Morris said. "While this is an exciting possibility, several challenges to the implementation of transplantation therapies must be overcome, including the inefficient integration of photoreceptor precursors into the recipient retina, and the difficulty of obtaining sufficient numbers of photoreceptor precursors for clinical application." 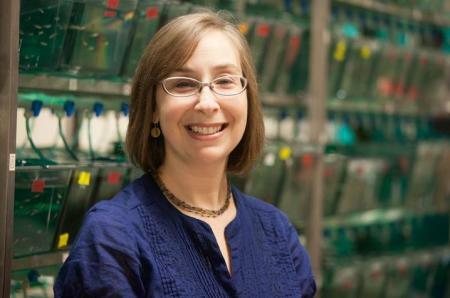 With this new grant, Morris and her team will address these challenges by exploring specific transcription factors (proteins that turn other genes on and off) that may influence photoreceptor differentiation. Morris, who first came to UK nearly 10 years ago, has established herself as a leader in UK's Department of Biology, currently serving as associate chair, and formerly as the department's interim chair. In addition to funding from the NIH, Morris was a recipient of the Pew Foundation’s Biomedical Scholar award from 2011-2015, and has received grants from the Fight for Sight Foundation, the Knights Templar Eye Foundation and the CHARGE Syndrome Foundation for her work. “Dr. Morris is a highly productive scientist, a gifted educator and is emerging as a leader in the Department of Biology here at UK," said Vincent Cassone, chair of UK Biology. "Her basic research on the mechanisms by which retinae develop and are able to regenerate may in the long-term result in regenerative therapies in the future. This is a testament to her own research program but also to the importance of basic research as a whole." Morris earned a doctorate in genetics and molecular biology from Emory University in 2001. She moved to France for a one-year postdoctoral fellowship at the Institute of Human Genetics and then returned to the United States in 2002 to continue her postdoctoral training at Florida State University. In 2009, she made the move to UK, where she has conducted regeneration research with a team of professors across campus, known as the regeneration cluster. Her research spans several areas of interest, including developmental neurobiology, genetics, molecular and cellular biology.